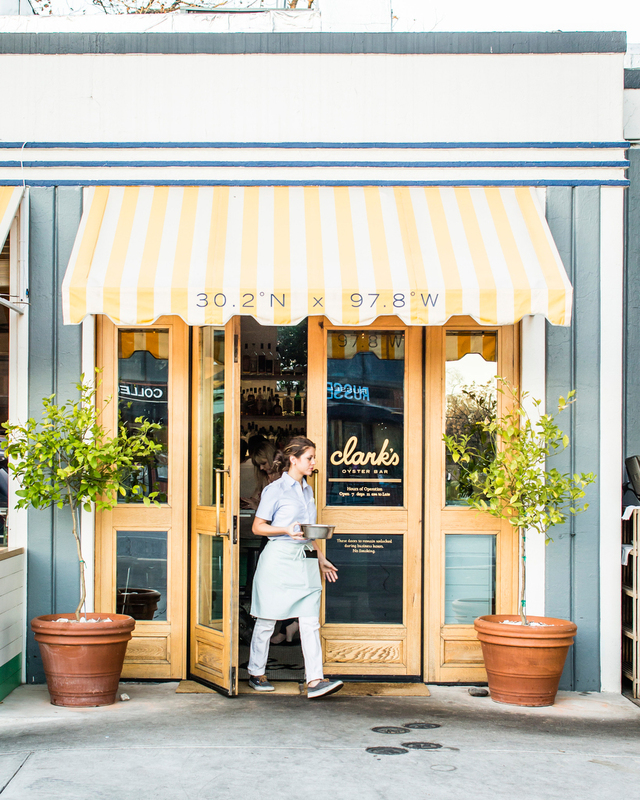 A neighborhood seafood restaurant (think red snapper ceviche topped with roe, Serrano and basil) in a cheerful space and a yellow-and-white stripped awning. Waiters sport preppy boat shoes; oysters are flow in daily; has the best red fish in the state (pictured along with Brussels sprouts). Owned by 32-year-old Larry McGuire, Austin’s restaurant darling.